Westland Bimini Top, Port side. Notes: Sun and rain protection with all the headroom you want in a variety of fabrics and colors. 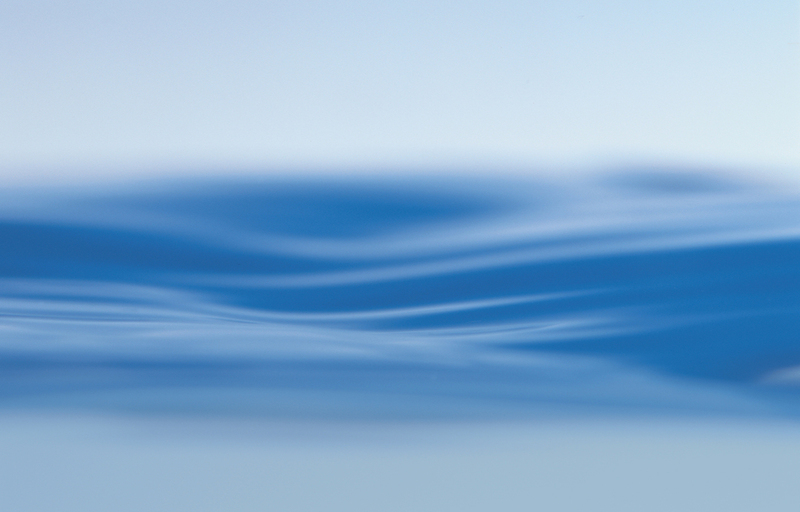 There is a standard size and style Westland® bimini top to accommodate almost any boat from inflatables to cruisers. 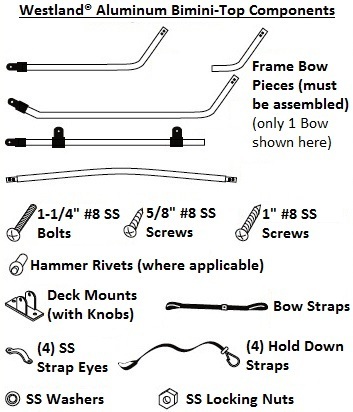 Built tough and durable to meet standard marine applications, yet easy to install with just a drill and screwdriver. (4)ea. Stainless Steel Strap Eyes with stainless steel screws (to hook Bimini Straps to Boat). Determine Bimini Height (from Gunwales): The height of the bimini is the height from the mounting points to the underside of the top. To determine the standing height, measure from the floor of your boat to the mounting points on the side of the boat, then add this measurement to the quoted height of the bimini. Be sure to plan for where to fold the top down. 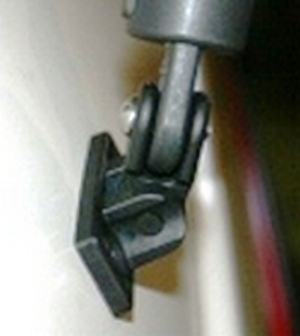 These Bimini-Tops are NOT the Factory Original and do NOT have zippers to mount front, side or aft eisenglass visors/connectors, windshields or curtains. 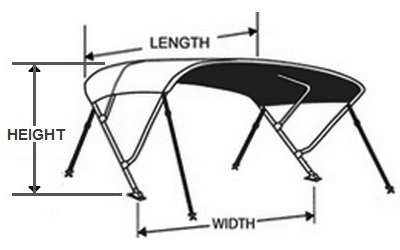 Alternative:Select-Fit® Boat-Covers for any boat up to 31 foot long. 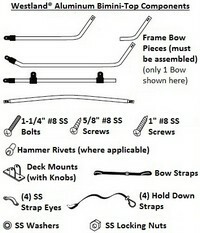 4-Bow: Westland(r) 4-Bow Bimini-Top Installation-Instructions.